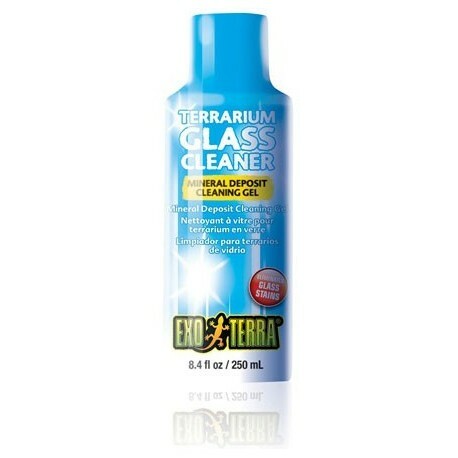 The Exo Terra Terrarium Glass Cleaner is an easy to apply gel that was specifically developed to remove calcium and lime stains from terrarium glass. Tap water used for misting is a major source of unsightly hard water stains in terrariums. FREE of Ammonia, Alcohol, dyes, synthetic perfumes and petrochemicals. Stubborn calcium deposits from misting systems like the Exo Terra Monsoon RS400 can be easily removed using the Exo Terra Terrarium Glass Cleaner. 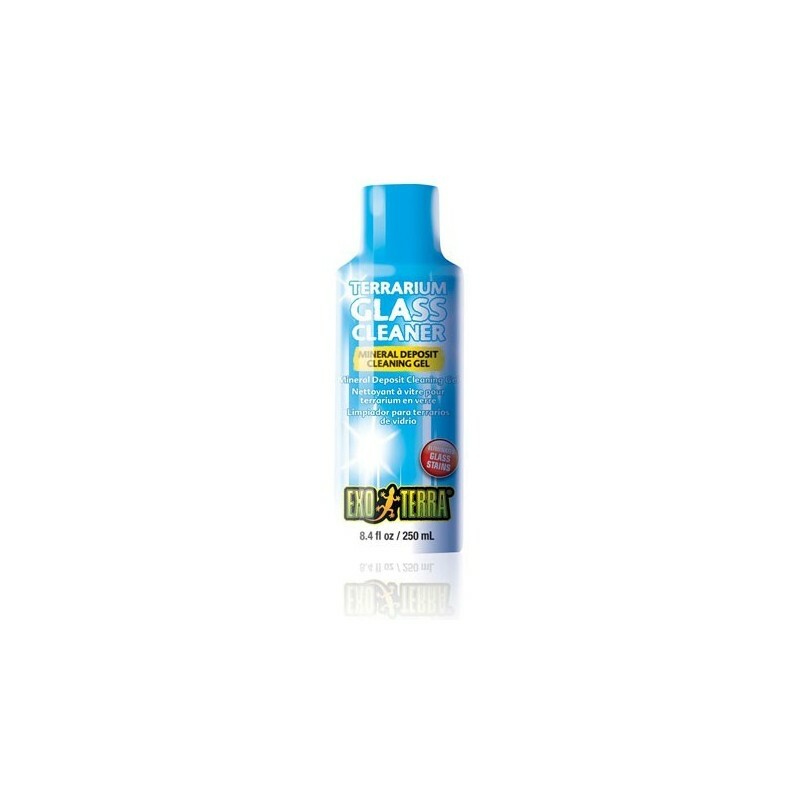 The Exo Terra Glass Cleaner's non-toxic formula is absolutely FREE of Ammonia, Alcohol, dyes, synthetic perfumes and petrochemicals.